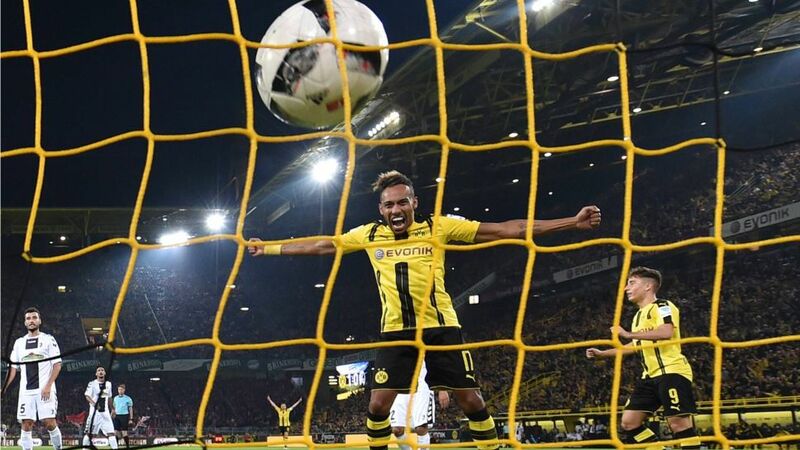 Borussia Dortmund remain top of UEFA Champions League Group F after twice coming from behind to hold defending champions Real Madrid CF to a thrilling 2-2 draw at the SIGNAL IDUNA PARK. Is Raphael Guerreiro in your Official Fantasy Bundesliga team? Sign him up now! Dortmund took the game to the holders, but Real landed the first blow in the 17th minute when Cristiano Ronaldo lashed in on the counter. Gonzalo Castro and Sokratis Papastadopoulos tested Real goalkeeper Keylor Navas in response and after Ousmane Dembele curled over, BVB deservedly levelled. Navas could only punch Raphael Guerreiro's free-kick into the back of Raphael Varane, with Pierre-Emerick Aubameyang lashing the ball over the line for good measure. Dortmund stuck to their guns in the second half as Dembele skinned Danilo and thrashed over. Aubameyang forced a flying save out of Navas moments later, but a lapse in concentration in the BVB back four enabled Real to strike against the run of play and restore their lead through Varane's close-range header. Dortmund rose to the challenge, however, with substitutes Christian Pulisic and Andre Schürrle combining to rescue a richly deserved point.